Books That Make You Dance! Look for the new Vox books on our shelves now. Studies show that read-alongs improve reading comprehension. VOX™ Books capture children’s attention by combining picture books with audio recordings. It makes learning and literacy development exciting! 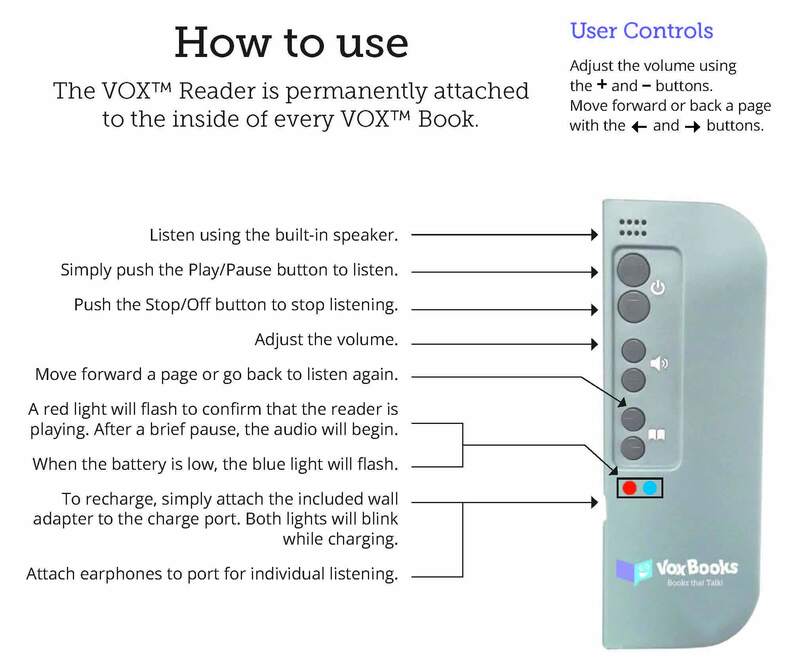 Inside of the front cover is a permanently attached 5mm VOX™ Reader device which reads aloud at every flip of a page.Children simply push a button to listen while they read. 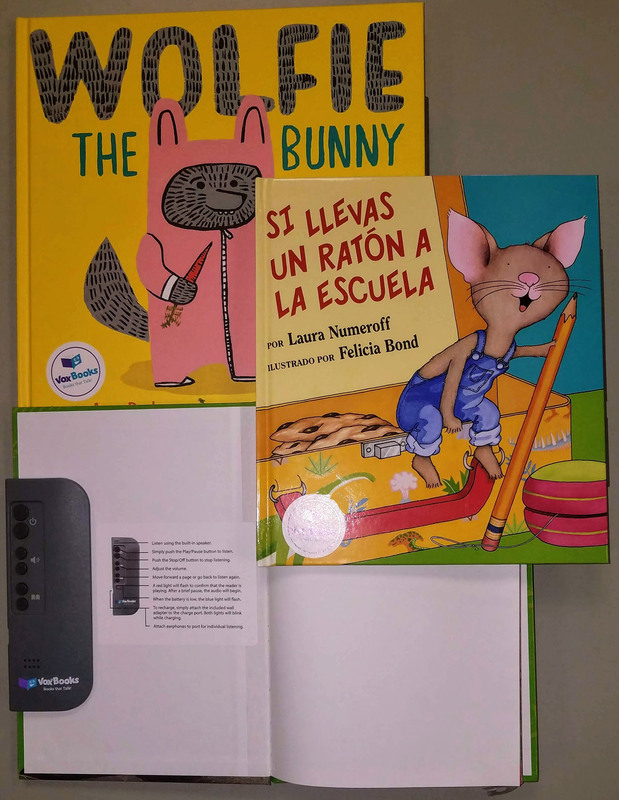 Combining outstanding picture books and nonfiction with audio recordings that capture children’s attention, VOX™ Readers make learning and literacy development fun! Hardcover book with full audio recording. Rechargeable battery provides 100+ listens before recharge. No data or Wi-Fi required.